The twelfth game of the year matches the Army West Point Black Knights (9-2, Sagarin 54) and their arch rival, the American Athletic Conference West Navy Midshipmen (3-9, 2-6 Sagarin 105). Navy leads the all-time series 60-51-7. Last year Army beat Navy 14-13 as Bennett Moehring just missed a 48-yard field goal in the swirling snow on the game’s final play. That gave Army its second win in a row over Navy and their first Commander in Chief’s Trophy in 21 years. Navy enters the game after a challenging, injury plagued year. There will be no CIC, nor bowl game, but a win over Army would salvage a tough season. Army enters the game on a seven game win streak, rankings in the top 25, an invitation to the Armed Forces Bowl, looking to extend the win streak against Navy and sweep the CIC tournament. 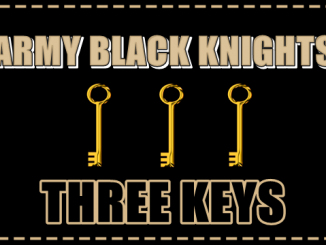 Darnell Woolfolk rushed for three touchdowns and Kelvin Hopkins ran for one as the Black Knights conquered the Raiders (9-1) 28-14. This was a game where we did not know how good Colgate was. They had dominated lesser opponents, not allowing a touchdown in their previous seven games – could they stop Army’s vaunted rushing attack? Army’s first possession was an 8 play 51-yard touchdown drive. Their second was a 16 play 76-yard drive. Colgate did a tremendous job of containing Army. They limited the cadets to a 4.4 yard per rush average and no individual rushed for more than 100 yards. Kelvin Hopkins was only 2/6 for 25 yards, but one of the completions to Jordan Ashberry was critical on their second drive. Hopkins carried the ball 19 times for 90 yards and Woolfolk carried the ball 23 times for 89 yards. Kell Walker, Andy Davidson, Jordan Asberry and Connor Slomka also added to the continuous pounding. Army was good on defense, but James Holland ran for 166 yards and a touchdown on 18 carries. It seemed as though the Army linebackers were constantly missing the appropriate gap. Outside of Holland, the Raiders had very little success offensively. The Colgate offensive line was solid – look for them to make a very good run in the FCS play-offs. Army may have shut out the Raiders, but in the third quarter, Hopkins optioned right and Raider safety Alec Wisniewski slammed Hopkins, who never saw him, forced a fumble and Tyler Castillo returned the ball 35 yards for a touchdown. Thankfully Hopkins was not hurt, as that was one of the better hits I have seen this year. Overall Colgate had everything to gain and Army kept them in check to win their seventh in a row and keep their national ranking. Justin McMillian rolled right and threw across the field to Charles Jones for a two-point conversion to take the lead with 1:27 left in the game as the Green Wave sank the Mid-shipmen 29-28. Tulane was winning 21-3 at the half, but an interception, missed field goal, 167 passing yards from Zach Abey and a trick play from Malcom Perry lead to 25 straight points for Navy. Tulane rallied for a seven play 71-yard drive and two-point conversion to take the lead and hold on for the win. Tulane gained 420 yards in total offense (129 rushing/291 passing) to Navy’s 321 (117 rushing/204 passing). Navy averaged just 2.6 yards on 45 carries, while Tulane averaged 4.0 yards on 32 carries. The leading rusher for Navy was Anthony Garguilo who had 44 yards on 12 carries. The leading carrier for Tulane was Darius Bradwell who had 66 yards on 15 carries. Tulane is bowl eligible for the first time in five years. Army is favored by 7 points. Until the streak was broken, Army found every way imaginable to lose this game. Fumbles, blocked punts, botched trick plays were often the determining factor. Ken Niumatalolo and his Navy team basically lined up, played a very vanilla game and let Army implode. After an intense reorganization, Army got bigger and faster and eliminated the physical disparity between the teams and the games once again became competitive. 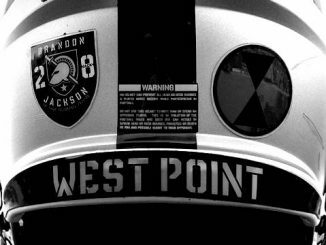 If it had not been for this very embarrassing 14 year losing streak, West Point would have never made the programmatic changes that have catapulted this team to the top 25 – just remember that. Navy will come into this game very motivated. They suffered a tough loss at SMU in the fourth game of the season and they began to unravel. They have done a tremendous job shuffling their offense to accommodate injuries at the skill positions. Zach Abey has been the quarterback for most of the year as Malcom Perry was not able to take the game to game beating at quarterback. Last year Perry started at quarterback, and in the snow, most of their offense was he running directly from shot gun snaps as he ran 30 times for 250 yards. Navy is averaging 289 yards rushing per game and five yards per attempt. Their offense has only been stopped by Memphis, Air Force, Cincinnati and Tulane. The Army run defense has been their strength this year. They have been able to contain the run while keeping a safety over the top to help on pass coverage. Coach Jay Bateman has selectively called run blitzes to thwart drives and upset the rushing offenses they have faced. The Army defense averages 106.5 yards per game rushing and 4.2 yards per rush. Navy is converting 38.6% of their third downs, Army is converting 53.3%. If Army contains the Navy run game as Air Force did, Army should carry the day. Navy’s issues have come on the defense. They have allowed 35 points and 438 total yards per game (189 rushing/249 passing). Army has allowed 18 points per game and 301 total yards per game (106 rushing/194 passing). Navy has allowed opponents to convert 48.09% of their third down conversions, while Army has allowed 27.59%. Navy has fumbled 22 times on the year and lost 10. 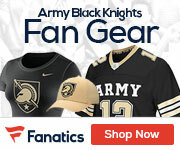 Army has fumbled 10 times on the year and lost four. While Navy does play in the American Athletic Conference, their strength of schedule is only slightly better than Army’s, 67-80. Straight up, Army should win this game by 11 points. The Army defense should contain Navy and Army’s offense should be able to move the ball. Of course Niumatalolo knows this and I would expect some significant wrinkles in the game plan. I highly doubt if Abey will be behind center for more than half of the snaps. I expect them to try to confuse Army’s defense as did Colgate. I would like to see Coach Mike Davis throw a couple of passes to start the second half and then call a reverse or sweep. I do not want to see Navy gain confidence with a three and out to start the second half, not when it is preventable. Navy has made several second half comebacks this year. A strong drive to start the second half is important. I expect a very fired up Navy team – they will look to unleash a year of frustration in this game. 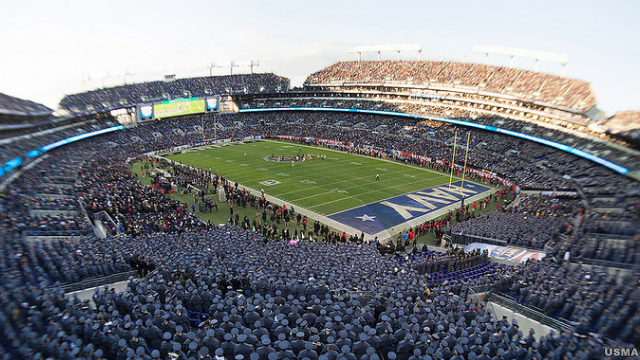 Army must meet Navy’s intensity and beat it back with their athleticism. If Army plays the way they have the previous 11 games and do not lose the turn-over battle, they should prevail with a good cushion. This Army team can prove themselves to be the best in the modern era.